Painted Garden Flowers Artwork and Frame Farmhouse Cottage Art Acrylic Painting with Painted Shabby Chic Frame by Laurie Rohner. 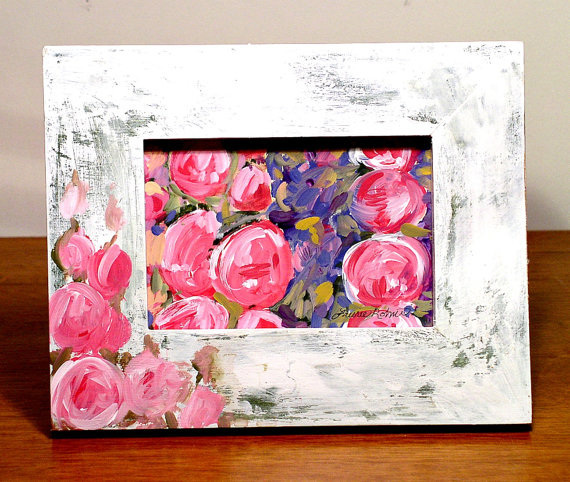 Original acrylic painting of garden flowers, cheerful bright pink and purple farmhouse garden flowers in a handmade cottage shabby chic painted distressed frame. 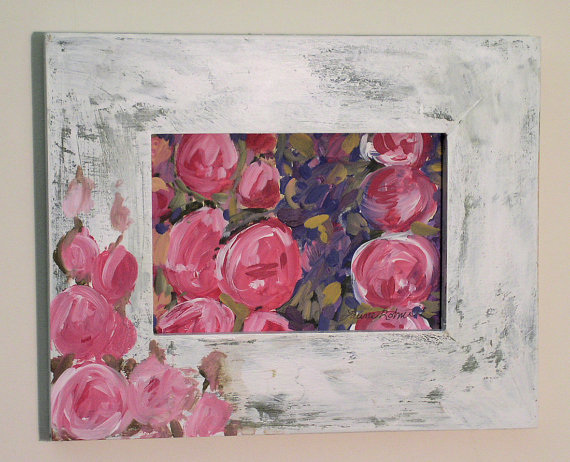 The frame has hot pink flowers to match the painting. What is more cottage farmhouse than pink hollyhocks and purple delphinium in a shabby chic white frame? Not a thing. 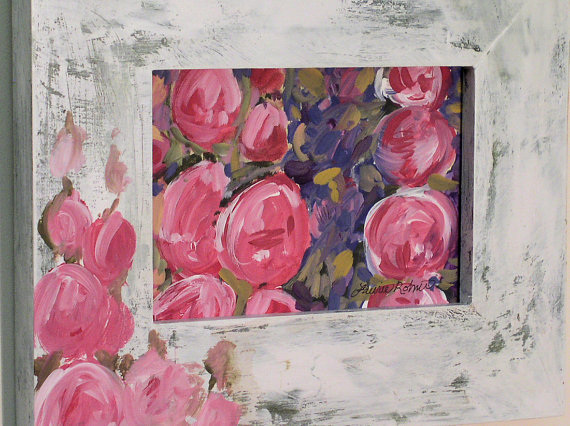 A framed 6" x 4" original acrylic painting of beautiful pink hollyhock in a garden. The frame is painted shabby chic and decorated with the same hollyhock design. 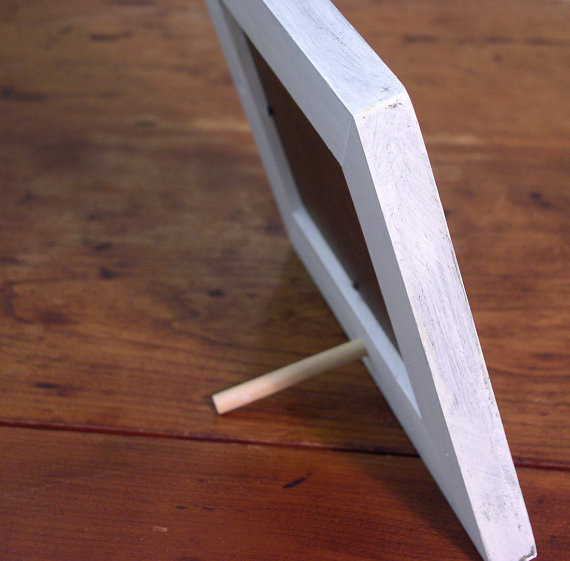 You can hang this cottage style painting on the wall or it can be set up on the table with a peg perch. This painting is colorful and fun and a unique special wonderful gift for brides birthday girls or new home owners. Overall size: 9.75" x 7.75"